Home » Home » HOMTOM S99 First Review: Hmmm… To buy or not to buy? Today we are going to talk about another budget phone with 18:9 aspect ratio, latest Android 8.0 Oreo operating system and 6200mAh battery. 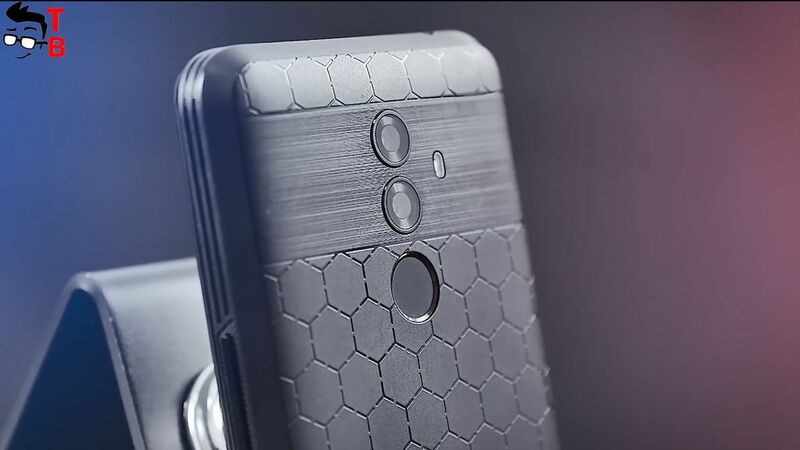 Also it has very interesting textured back panel. The smartphone called HOMTOM S99, and right now, you can get it for only $129.99. 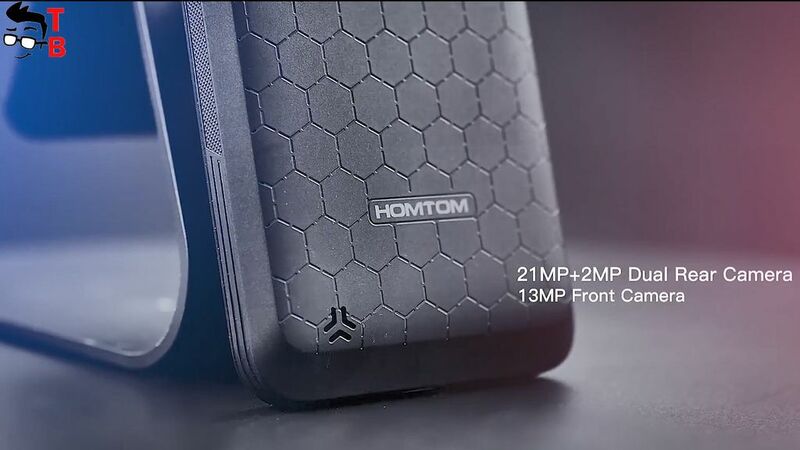 HOMTOM S99 is made of plastic. Its main feature is textured back panel. It makes smartphone less slippery and stylish. Here you can see dual vertical camera and fingerprint reader. As for the front panel, there is 5.5-inch display with HD+ resolution, 720 x 1440 pixels and 18:9 aspect ratio. Today most phones come with 6-inch displays, so S99 is good option for those, who would like compact device. Also, new phone has microUSB port and 3.5 mm audio jack. 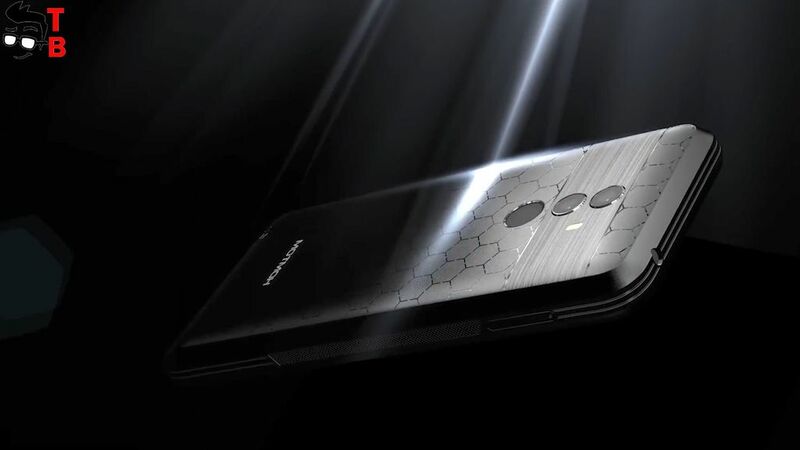 As for the hardware, HOMTOM S99 is standard entry-level phone for 2018. It is powered by MediaTek MTK6750 chipset, and has 4GB of RAM and 64GB of storage with microSD cards support. The smartphone will score about 50 thousand points in AnTuTu. Also, I want to note about software. S99 runs on latest Android 8.0 Oreo operating system. Its main function is Face Unlock, however it does not have special face recognition technology, and use front camera for unlocking. The cameras look very impressive. There is 21-megapixel main sensor and 2-megapixel secondary sensor on the back. As for the front camera, it has 13-megapixel sensor. It sound really good, but I haven’t seen real sample photos yet, so I cannot talk about image quality. Battery is another feature of HomTom S99. 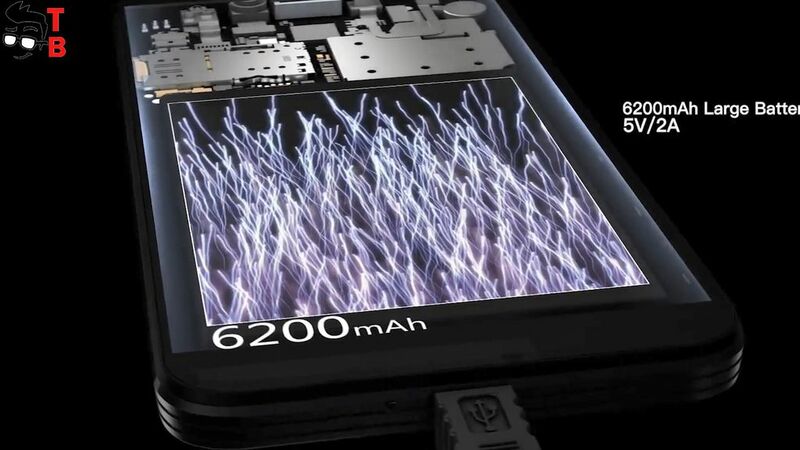 New phone is equipped with 6200mAh battery and fast charging support 9V/2A. Also, it supports OTG, so you can use this phone as power bank for charging other devices. Finally, the price. 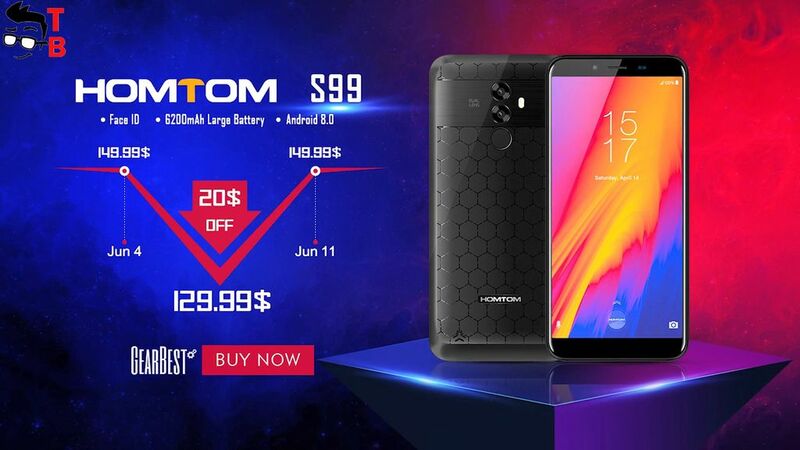 From June 4 to June 11 GearBest online store will have a flash sale of HOMTOM S99. It means that you can buy new phone for only $129.99. The regular price is about $149.99, so it is better to hurry up and buy the smartphone with a discount of $20.